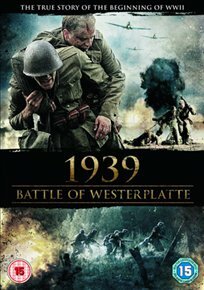 Film charts the conflict between two Polish officers in charge at the Battle of Westerplatte, the first clash between Polish and German forces in WWII. At the outbreak of war in 1939, the small garrison of soldiers defending the Polish Military Transit Depot on the Westerplatte peninsula, find themselves outnumbered when the German Army mount a surprise attack. Resisting heroically for 12 days against overwhelming odds, Major Henryk Sucharski (Michal Zebrowski) soon finds himself facing a dilemma: follow the romantic wishes of his superior officer Captain Francis Dabrowski (Robert Zoledziewski) and vow to fight on, thereby condemning his badly wounded men to die for their country; or commit the unthinkable act of surrendering themselves with honour to their German oppressors.